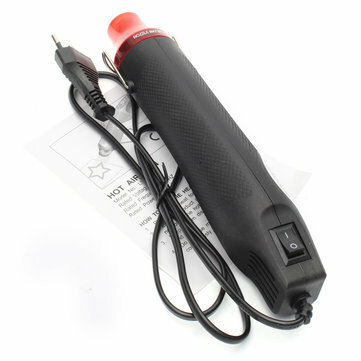 Heat Gun hot air you can find @ Banggood.com. Ideal for heat shrinkable seal. Heat air gun for shrinkable seal and/or soldering ! par MadeInFck est sous Licence Creative Commons Internationale Attribution-Pas d'utilisation Commerciale-Partage à l'identique 4.0 .